Cancun is Mexico’s most important tourist destination and one of the world’s most well known resorts, located in the state of Quintana Roo in theYucatan Peninsula. In Cancún there are about 140 hotels with 24,000 rooms and 380 restaurants and over four million visitors arrive each year. 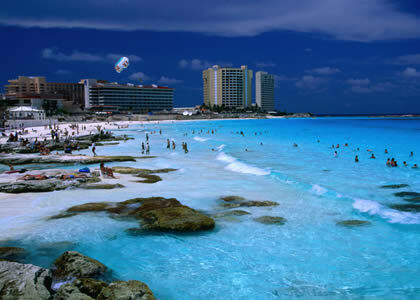 Cancun Mexico enjoys 240 days of sunshine a year, more than almost any other Caribbean location. The beaches in Cancun Mexico are almost 100 percent limestone; the porous quality of the limestone makes for cool sand even under the intense tropical sun. 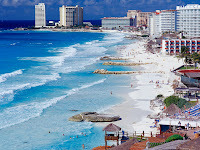 Cancun Mexico itself is a great resort city with a vibrating night life. But Cancun Mexico also has many exciting shopping areas and everything else one would need to enjoy a relaxing holidays or vacations. The surroundings of Cancun Mexico are mainly untouched nature, including jungles, many impressing archeological sites with Maya Pyramids, and all kinds of interesting animals and plants. 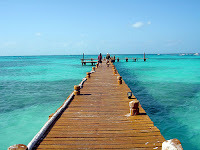 And of course there is the Mexican Caribbean Sea. The water at the beaches of the Caribbeans Sea is among the best and clearest anywhere. So its great for scuba diving and snorkeling. 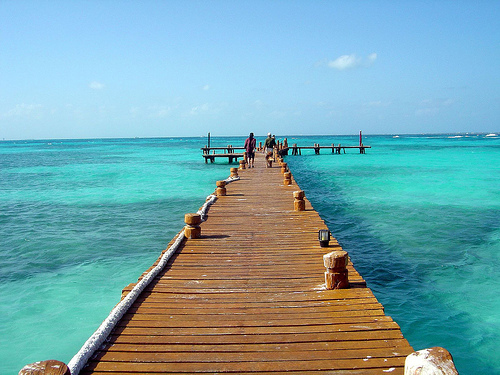 Especially a bit south of Cancun, there is the Great Maya Reef system, along the Riviera Maya.